A favorite of Hannibal Lecter (not the most desirable of patrons), Chianti is a delicious wine produced in the Chianti region of Tuscany, an area in central Italy known for its stunning landscapes, rich history, delicious wines, and influence on high culture. Did you know Tuscany is regarded as the birthplace of the Renaissance? It is no wonder why the region has become a popular stop for tourists. Chianti is characterized by its red and black cherry character, intermingled with notes of wild herbs, mint and spice, supported by a racy acidity and mellow tannins. The earliest mention of “Chianti wine,” probably the best-known and most iconic of all Italian wines, first appears in the thirteenth century, when merchants in Castellina, Gaiole and Radda formed the Lega del Chianti: the League of Chianti. It was the league’s mission to produce and promote the local wine. Then in 1716, the Grand Duke of Tuscany issued an edict legislating that the Castellina, Gaiole, Radda, and Greve be the only official producers of Chianti. This held true for more than 200 years until 1932 when the Italian government expanded the Chianti zone to include Barberino Val d’Elsa, Chiocchio, Robbiano, San Casciano in Val di Pesa and Strada. Subsequent expansions took place in 1967. Today, the Chianti zone covers a very large area all over central Tuscany. These vineyards produce more than 26 million gallons of wine a year. Wow! 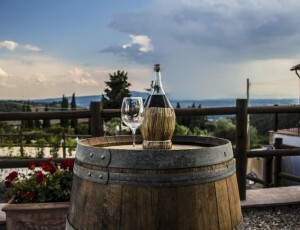 Have you always dreamed of drinking a glass of Chianti while gazing out at the beautiful Tuscan landscape? If so, AESU can help make those dreams a reality! There is nothing better than drinking Chianti in Tuscany! 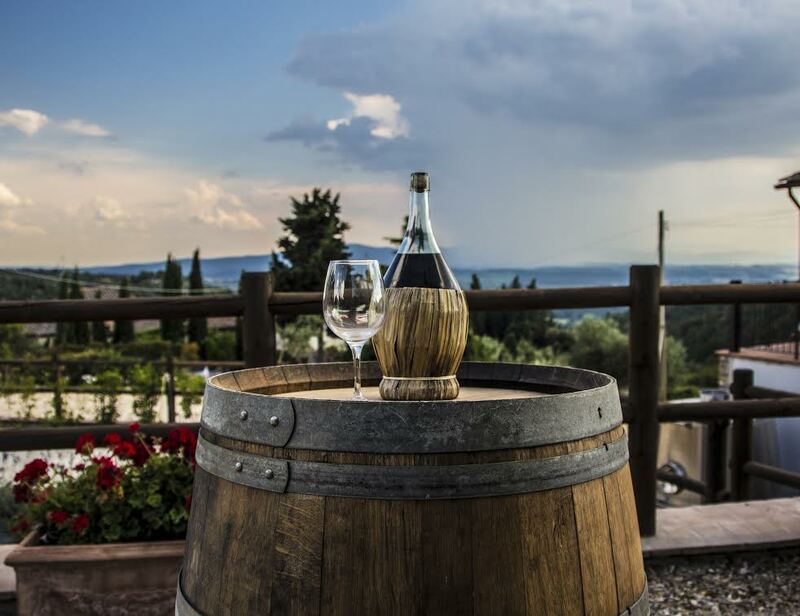 AESU, the most trusted name in travel, actually offers an optional excursion to a winery for Chianti tasting on our Euro Focus and Great Escape tours. Yum! Our other affordable Italian vacation packages, including Cosmopolitan, Explorer, Euro Spree, and, of course, Viva Italia: 8 days and 6 nights of fun and adventure traveling along Italy’s boot, from Venice and Florence, to Rome. Each trip is action-packed and informal—designed just for people your own age. If you have any questions about Chianti, Tuscany, or any of our Affordable Italian Vacations, please contact AESU by calling 800-638-7640 or fill out the contact form found on our website. And don’t forget to check out all of our great Travel Tips, especially the Travel Tips for Europe, before you head overseas. This entry was posted on Thursday, July 17th, 2014	at 2:26 pm	. You can follow any responses to this entry through the RSS 2.0	feed. Both comments and pings are currently closed.